The annual Amelia Island series of classic car auctions in Florida, USA, are held in conjunction with a Concours d’Elegance. These auctions by RM Auctions, Gooding & Co and Bonhams are the first major East Coast classic car sales of the year. The Amelia Island Concours d’Elegance has developed into one of the most important classic car events in the USA. In addition to showing and judging beautiful and valuable cars, the Amelia Island is also a charity event that collected more than $2.5 million since 1996. The Amelia Island Concours d’Elegance is held in early March in sunny Florida while much of the American East Coast is still in the grips of winter. Classic car enthusiasts very much prefer sunny weather, especially when Concours-quality automobiles are on display. However, events are held come rain or shine. In 2019, the Amelia Island Concours events are held from 7 to 10 March 2019 at the Golf Club of Amelia Island with further events in the Ritz Carlton. The biggest day is Sunday when the long list of winners is announced. 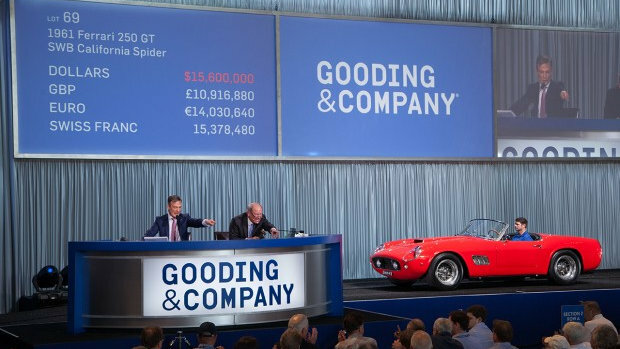 The Amelia Island auction record is $17,160,00 for a 1961 Ferrari 250 GT SWB California Spider sold by Gooding in 2016. RM Auctions is the official auction partner of the Amelia Island Concours d’Elegance. It currently holds its classic car sale on Saturday in the Ritz Carlton hotel. The Gooding & Co Amelia Island sale is held on Friday in the nearby Omni Amelia Island Plantation. 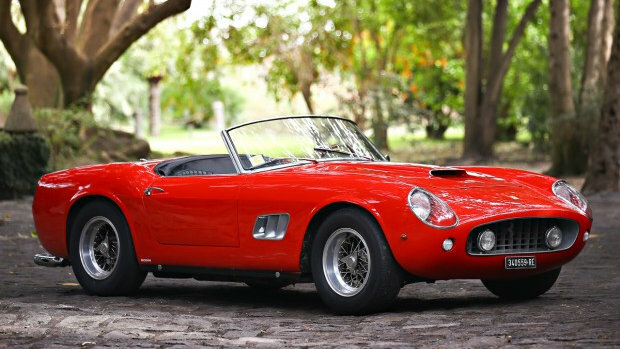 Bonhams staged its first Amelia Island auction in 2015 at the Fernando Beach Golf Club. The classic car auctions at Amelia Island usually see several cars achieving more than a million dollars. However, the top prices of the year are usually achieved during the Monterey classic car week in California in summer at a variety of auctions held at Monterey, Pebble Beach and Quail Lodge.